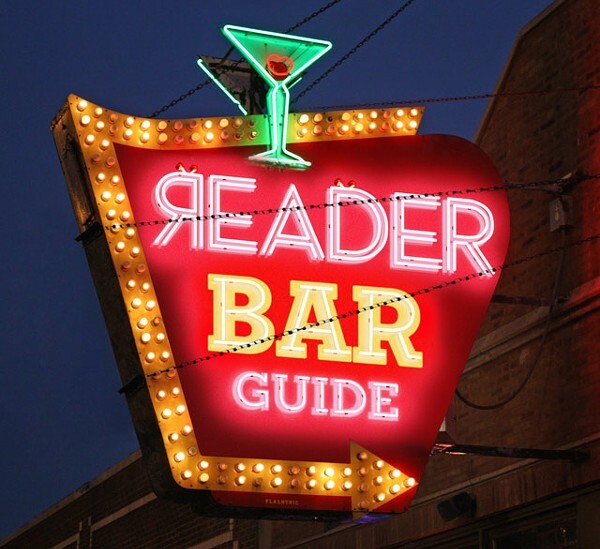 You're probably reading this and thinking: "The last thing Chicago needs is another bar guide." So why did we do it? Well, because every other guide only tells you about the bars that have "the most divine craft cocktails" or are "a good place to watch the Bears game" or where you can "find the very best drink specials." We, on the other hand, will tell you about zebra-themed piano bars that smell like bathrooms, late-night veterans' halls with karaoke and guard dogs, and the oldest bar in Wrigleyville that's BYO . . . food. Off the beaten path, off the wall, or falling off the bar stool—we've done our best to cover it all. And there's more: Questions for some of the best practitioners of the drink-serving arts, and a slideshow of recipes from the Potation Handbook, the go-to guide for cocktails. The watering holes, beer libraries, and passe lounges in this guide have been handpicked by the intrepid, wobbly Reader writers, and they're where we spend our hard-earned paychecks on mind-erasing libations. And check out our brand-new mobile site, which lets you know what bars we recommend depending on where in the city you happen to be. Click the image below and let's get drinking.